Blue Mountain Mystery: The Movie has achieved success in the United Kingdom in both TV and on DVD. 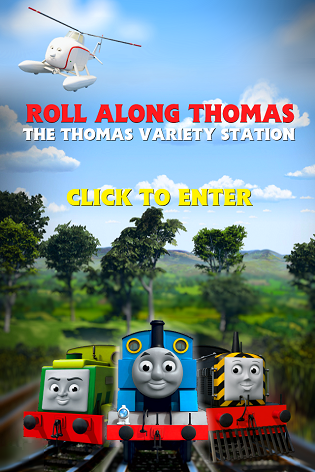 The special which has been hailed by fans as one of the best Thomas stories of recent years, is officially the No. 1 Pre-School DVD of 2012, licensing.biz and the Official Charts Company have revealed. On television's Channel 5, compared to its predecessor Day of the Diesels which scored 328,000 viewers on Christmas Eve 2011, Mystery surpassed the figures on New Years Day with a finalised 537,000 viewers. Hit Entertainment's Business Head of TV and Home Entertainment, Alison Homewood spoke of the results; These phenomenal figures prove the power of the feature-length Thomas specials which continue to build year on year. Not only do they deliver fantastic DVD sales but also gain exceptional broadcast ratings, solidifying HIT’s position as one of the world’s greatest storytellers for pre-schoolers.